Revolutionary Guard warns the United States not to attack Iran or it will be defeated like the former Iraqi leader. Iran’s Revolutionary Guard Corps (IRGC) warned on Wednesday that the U.S. government would be defeated like former Iraqi leader Saddam Hussein if it attacks Iran, Reuters reported, citing Iranian state TV. “The American leaders ... have got this message that if they attack Iran, they will encounter a fate similar to that of Saddam Hussein,” the elite Guards said in a statement. Iran has upped its rhetoric against the United States in recent days, after President Donald Trump withdrew from the 2015 nuclear deal. On Monday, U.S. Secretary of State Mike Pompeo announced that Washington would impose unprecedented sanctions against the Islamic Republic, further raising the ire of Iranian officials. A senior Iranian military commander threatened Pompeo on Tuesday, saying Iran would “deliver a strong punch to the mouth” of the Secretary of State. On Wednesday, Iranian commander Mohammad Bagheri issued a response to Pompeo’s announcement, declaring that Iran would not “wait for the permission” of foreign powers to develop “defense capabilities” and warned that his country’s military was “more prepared than ever” for a conflict. 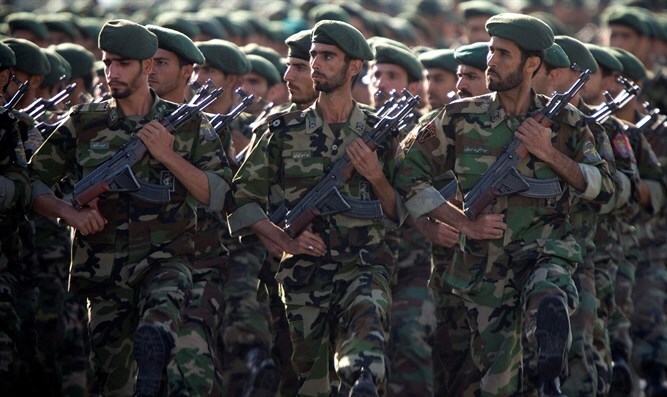 “Iranian armed forces are now, thanks to God, more prepared than ever and will not wait for the permission or approval of any power to develop defense capabilities,” Bagheri said, according to the IRNA news agency.